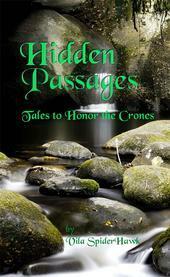 I am pleased to have been able to ask Vila Spiderhawk, author of Hidden Passages: Tales to Honor the Crones , one very special question that helps me better understand her book, which I will be reviewing on Monday - I hope this gives you a taste of what the book is about and shares some insights for you too! Vila, you write about women in Hidden Passages , sharing their wisdom and their joy, their hearts and souls with girls and women. Do you have a favorite character or one that seemed to speak to you the most? Oh dear. Asking me to choose one character over another is like asking me to choose one friend over another. Each is an individual personality. Each has taught me much, however I shall list only one life lesson that each woman engraved into my heart. Mima Po taught me that, however hard life is, one need not, indeed must not, become a victim. However great the pain, it is important to remember how to love and how to give. One of Maria’s lessons is that we must remember and cherish our roots, however remote they may seem. Cara reminds me to be bold and to trust. We are all stronger than we believe we are. Indeed, metaphorically speaking, we can all soar. Donnata assures me that, however clumsy we may be, we can still love selflessly and honorably. Whatever Donnata is, she’s a generous soul. Heraulta’s soul is patience. 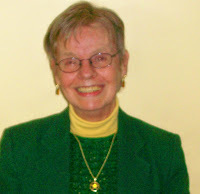 Having lived long and loved much, she forgives and is rewarded with the adoration of her daughter and granddaughter. Tichu in Nanu’s story reminds me that, while our dreams may not come true, perhaps that’s because our dreams are too small. Gita demonstrates that life does indeed go on, however terrible the heartbreak. She is a profoundly strong woman whom I respect enormously. And Lavinia knows that, however wise we are, we must wait until the person we’re conversing with is ready to hear and accept what we have to say. Brimming with hope and beautifully written, these eight stories of women helping women and girls through the challenges and transitions of life will surprise you with every turn of the page. In Passages, a girl moves through a rites of passage into womanhood, both symbolic and literal, among her tribe of watching women, bonding with the other women as well as with the feminine in nature, bonding with the divine, and erasing boundaries between all. Lavinia is something of a ghost story of women, where the reader wonders at times who is living and who is not. Vila SpiderHawk is taking a different view on the aging of womankind. Hidden Passages is a collection of tales, some of which are interconnected, others which stand alone, all of which deal with women who are finding or already using the wisdom acquired from years of life experience. These are women as women should be: unafraid of living, unafraid of expressing their femininity, unafraid of aging, unafraid of facing up to their own fears and weaknesses and transforming them into strengths, unafraid to confront those who would deny them their place, simply - unafraid. We should all wish to be such terrific crones.